Payments continues to be a hot topic in banking. Technology, consumer and business expectations—driven by innovations, such as smartphones, social media and internet platforms—have been forcing payments change for at least five years. The change is accelerating, and is likely to endure for many more years, significantly transforming the payments landscape. It is attracting involvement from banks’ senior executives and newcomers (often FinTechs) to shape the new terrain. For example, they are leading investment and transformation programmes, launching new products and services, or to consolidating/restructuring their operations. The payments industry is surprisingly complicated. Even experienced bankers and newcomers can find some of the terminology and concepts confusing. Many have built their careers in other areas of banking, such as credit or branch banking, and are new to the arcane world of payments. One new development that is challenging everyone, including veterans of the payment industry, is distributed ledger technology (or blockchain)—an innovation that is even questioning our understanding of money itself. 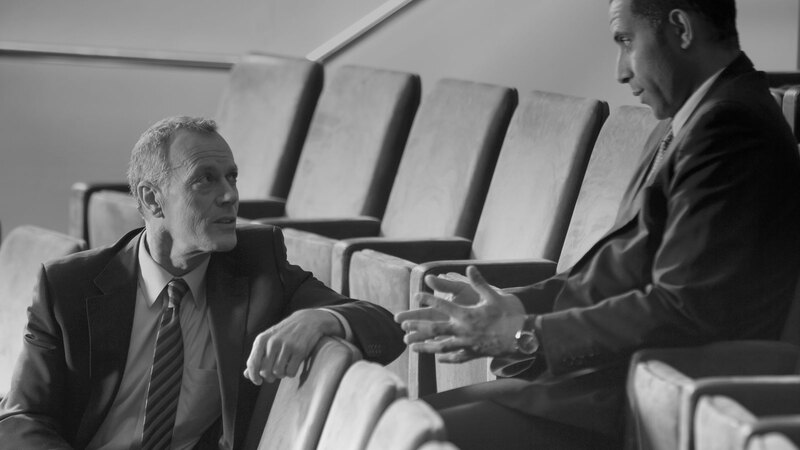 To help executives new to payments get a better handle on industry change, Accenture and ACI Worldwide developed a report that clarifies some key terms. 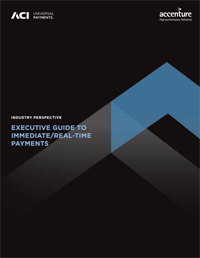 Specifically, the Executive Guide to Immediate/Real-Time Payments explores the significance of real-time payments, which are at the heart of industry’s transformation, and simplifies nuances of various payments transactions. For example, what is the difference between clearing and settlement? What is real-time gross settlement? What is the difference between a real-time card authorisation and a real-time payment? Briefly, clearing is the deduction of funds from the sending account and the crediting of funds to the receiving account. Settlement is the actual payment of funds by the sending bank, which owes the funds, to the receiving bank, which is owed the funds. Real-time gross settlement (RTGS) is the real-time exchange, or settlement of funds between two banks specific to an individual payment (without netting, or combining funds from multiple payments flowing in both directions between the two banks). However, the clearing of these funds into the beneficiary account at the receiving bank is a separate, usually asynchronous process, which is why RTGS payments are typically same-day for the end-user, not real-time. A card authorisation is a real-time guarantee to the merchant (typically based on the cardholder’s available funds) that the merchant will be paid in due course (for example, next day). A real-time payment is where the receiver receives and can use the funds immediately. For fuller answers and a wider discussion on real-time payments concepts and initiatives around the world, read our full report – Executive Guide to Immediate/Real-Time Payments, or watch the video on Finextra.